Cancer, we’re coming to get you! Since Race for Life start in 1994, an incredible six million participants have raised over £493 million, making it the UK’s biggest fight against cancer and the largest women-only fundraising event. Many people are inspired to take part in Race for Life, whether it is to celebrate the survival of cancer or in memory of a loved one, or just taking part to get fit or lose weight, all participants share one common goal – to raise money for Cancer Research, to fund ground-breaking research into new drugs and treatment and to give hope to a cancer- free future. On Saturday, to mark the launch of Swindon’s Race for Life upcoming events, a flash mob grabbed the attention of the shoppers as The Parade was turned into a dance floor. Karen Hyde’s Zumba group and New College Performing Arts students performed the Race For Life dance – Cancer Slam, which consists of 10 dance moves that have all been named to help people remember the routine. This dance will form part of the warm-up for all Race for Life events this summer. Last year, 3,174 women took part in Swindon’s Race for Life and raised an incredible £186,948. This year, the organisers hope to exceed that number and want 3,500 participants to join in and help raise £205,000 at Lydiard Park on Sunday 2nd June 2013. There are two 5k events taking place at 11am and 3pm. The race is non-competitive, it’s for women of all ages, and it doesn’t matter how fit you are, it’s the taking part that counts, you can walk, run, hop, skip or even dance your way around the 5k route. You can sign up individually or get your girlfriend’s or work colleagues together and sign up as a team. 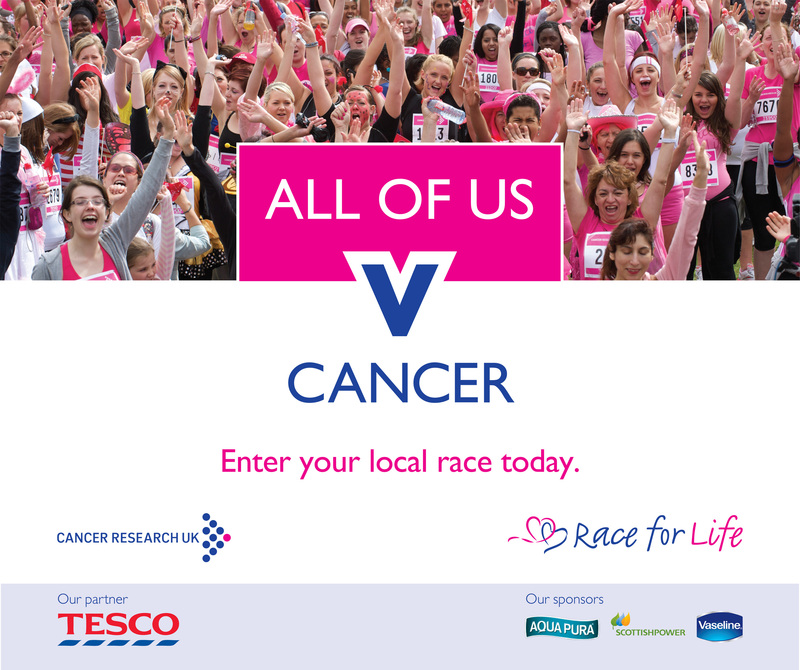 So join in this year’s Race For Life and show cancer who is boss!